I am a public school teacher. I usually arrive at school well before 7 a.m. and stay at least until 4 or 5 p.m., and sometimes as late as 6 p.m. Every teacher in my building here at North Star Academy Charter School in Newark, New Jersey, puts in long hours. Why? Because the achievement gap — particularly here in Newark — is ferocious. Fewer than half of all Newark students are reading on grade level. So every day, my colleagues and I know that the work is not done until every child has equal opportunity to the very best education. Our students are here with us close to nine hours a day, rather than the typical 6.5 hours at most public schools. Just by adding two hours to each day, and seven days to the year, our students gain the equivalent of an extra 50 days of instruction. While the extra hours are essential for our students, there’s a fault in the logic to think that a longer school day alone produces better outcomes for students. Simply lengthening the day will not produce magical results. Instead, it is how that time is spent that matters most. Our students are spending that time at school on a rigorous curriculum that catches them up, that is Common Core aligned and at the right bar — teaching them the skills and knowledge they need to be college ready. So we have 90- to 120-minute math and literacy classes, along with interesting lab experiments and a focus on character development. Students who are arriving to our school in fifth grade two to three years behind where they should be deserve nothing less. In addition, and very importantly, our school supports its teachers with quality professional development and coaching to ensure that not only are they developing rigorous and joyful lesson plans, but they are practicing the techniques that the most effective teachers across the country use to ensure 100 percent of the students are mastering the concepts taught. It is smart and sensible that our professional development begins in early August with two to three weeks of training and practicing with master teachers before the students arrive — not one to two days as is customary in far too many places — and then continues throughout the year with weekly coaching sessions. No wonder thousands of teachers apply to teach at our network of schools every year. Teachers know that when they join our schools, they will grow in their craft and see true impact on the lives of the children they teach. Finally, the power of our well thought-out curriculum, combined with the benefits of strong teacher support, is then multiplied when we give our teachers and students the extra time they need to catch up and surpass their counterparts in the suburbs. If students doesn’t know their times tables, you don’t have to stand on your head or use magic tricks to ensure mastery. You just need extra time to work with those students. How do we know this strategy works? Only 20 years ago in America, virtually no one believed that low-income black and Hispanic youth could close the achievement gap. Today, North Star students graduate from college at four times the rate of low-income students in this country, and our students have not only closed but reversed the achievement gap with their white, affluent counterparts in the rest of New Jersey in terms of SAT scores. Despite the strong evidence that these three pillars work for urban students, critics of a longer school day say it’s unsustainable, that it breeds burnout, and encourages older, more experienced teachers to leave the profession, leaving behind only a young teacher workforce devoid of the practical experience that comes from decades of service. I’m almost 50 years old. I grew up in Newark, became a lawyer and then quit to become a teacher about 15 years ago. I’ve been teaching at North Star for 10 years, and I can tell you that in my experience, teachers who know that they are changing lives don’t burn out so easily. Teachers come to this work to watch children and communities transform themselves through educational opportunities. If we could close the achievement gap in less time, we would. Unfortunately, I think every teacher across the country knows the incredible effort it takes to catch up those who are behind. I’m a father, too, and if one of my children needed medical attention, or legal help, I certainly wouldn’t want to go to the doctor or lawyer who wants to work the lowest number of hours. 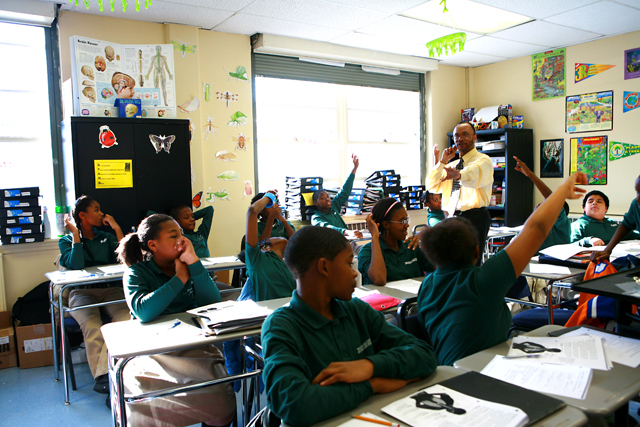 In many of our poorest cities, our children are suffering from extreme miseducation. There’s no other way to alleviate that suffering than through extraordinary hard work. 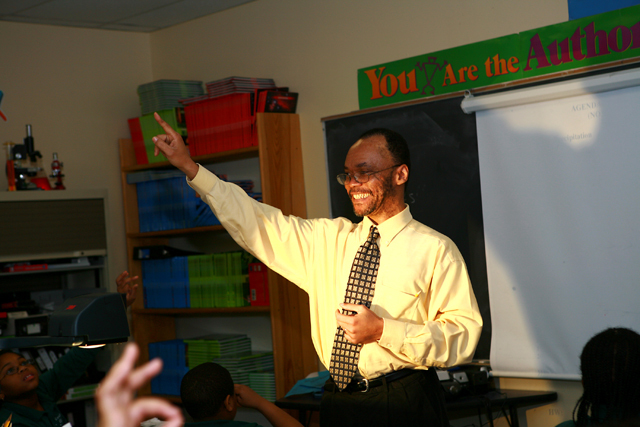 Clarence McNeil is a team leader for the fifth grade and a science teacher at North Star Academy Charter School of Newark’s Downtown Middle School Campus. North Star is part of the Uncommon Schools charter school network.